Your privacy is very important to us. ArcticLine Software has created this privacy statement in order to demonstrate our firm commitment to privacy. 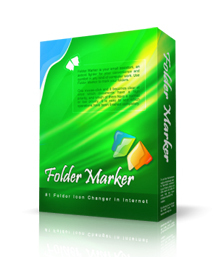 The following discloses the information gathering and dissemination practices for this site: FolderMarker.com and our products, listed on it. We can collect your IP address, browser type and version, operating system, platform and other non-private data to gather statistical information about visitors to our website. Our software also can collect non-private data (program version, language, installed components, etc.) about your usage of the software. A cookie is a small file that a Web site writes to your hard drive when you visit that site. A cookie is uniquely yours and can only be read by the server that gave it to you. It is a kind of your ID card and can not deliver viruses. Cookies can not read information from your hard drive or read information from other cookies. You can disable cookies by using Internet Options of your browser. ArcticLine Software may disclose your purchasing information to third parties if it is necessary to comply with the law or to provide a service to you (f.ex. support service, resend registration key, ect.). This site contains links to other sites. ArcticLine Software is not responsible for the privacy practices or the content of such Web sites. We reserve the right to update our privacy statement at any time. Please check this page periodically.